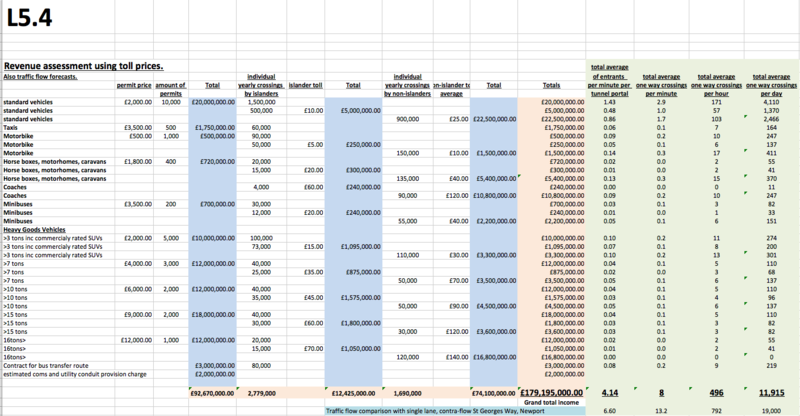 The Solent Freedom Tunnel – What Healthcare benefits will it offer? Isle of Wight Hospital departments are closing. This is due to the difficulty of recruiting qualified staff and the high expense of providing services on an island that is not efficiently interconnected to the mainland (4 miles away) by a road. Paediatrics, Surgery, Cancer and intensive care are already being transferred away off island … other departments will follow. Ferry fare subsidies, funded by the IOW Council taxpayer are now being withdrawn. Islanders are now having to find vast sums to travel to the mainland to gain healthcare. The journey can be a harrowing one. Hospital appointments can be disrupted by high winds, fog, ferry staff sickness, ferry mechanical breakdowns or ‘technical difficulties’. The journey is arduous, even when a person is fit. But when ill or immobile… getting to the ferry, parking the car, queuing for the ferry for 30 minutes (recommended) the boarding, disembarking, bus or taxi can be too much for some. Same on the way back too…. sometimes after surgery. In an emergency, the charity funded Air Ambulance can be used if available, which costs £thousands each time. 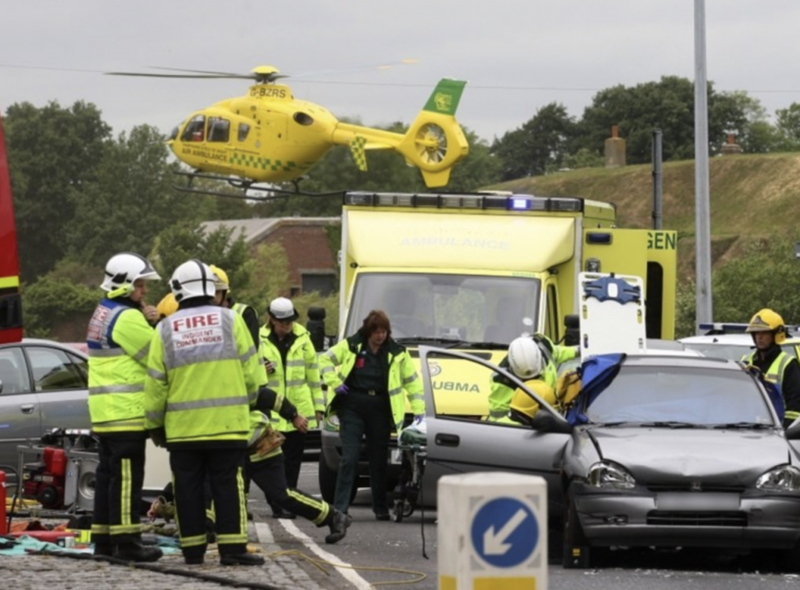 Standard vehicle ambulances can be used, but the return journey time, renders the ambulance and staff out of commission for minimum of five hours. The transfer from Newport to Southampton General in an emergency using the Red Funnel ferry, would be a minimum of two hours…. for a 12 mile journey as the crow flies. All of the above problems will be solved with the Solent Freedom Tunnel. 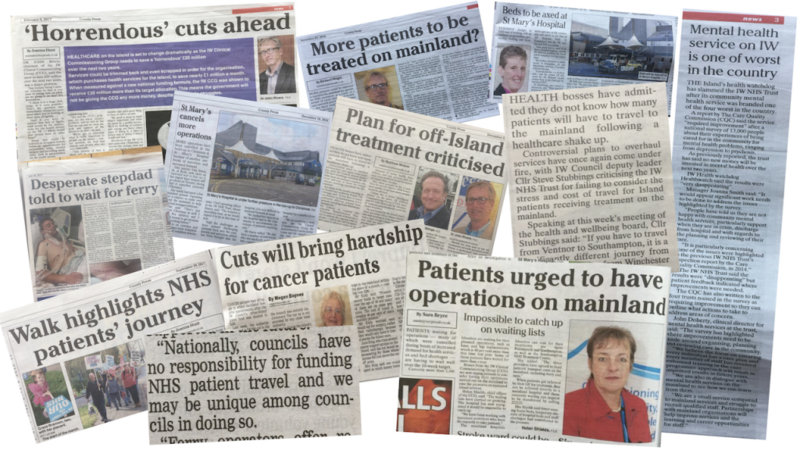 How are islanders going to travel to mainland healthcare, without a fixed link? 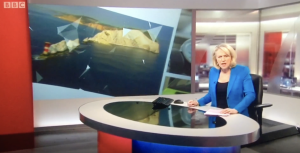 The 25th January 2018 BBC South Today episode, describes the problems of providing hospital healthcare on the Isle of Wight, due to the islands’ isolation. Labour party spokesman Julian Critchley warns of people dieing, before being able to reach mainland healthcare. Head of Social Care – Councillor Clare Mosdell, explains that islanders must use mainland services as it is the “National Health Service”, not an island health service. Bob Seely MP, is quoted as saying the island hospital must now work with the mainland hospitals, after having previously insisted this would not be required. Click the photo or here to watch the South Today report. The Solent is regarded as one of the most expensive stretches of water in the world to cross by ferry. Patients will struggle to cover those fees, as will visitors of those patients. Due to the expense, the sporadic and unreliable nature of ferry travel … it is thought that many islanders will choose to die prematurely or suffer an illness, rather than be treated. It is already happening. What does the Department of Health & Care say about the IOW Hospital potentially closing? Click photo to view the delivery plan… or here. 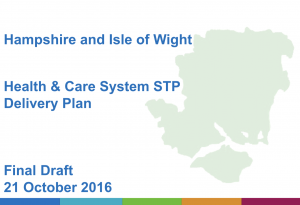 These proposals demonstrate why providing specialist health care on the island is presently unviable and the need for change is stated in the ‘NHS Clinical Commissioning,’ Isle of Wight “Transforming acute services of the Isle of Wight” February 2018 document. So In other words, NHS healthcare needs to be made viable and affordable in the locality. NHS trusts need to agglomerate services and resources throughout the wider area, in order to become efficient. This can only be achieved using fast, reliable, 24 hour availability of good connectivity between healthcare resources and patient care locations. General Hospitals near to the IOW which would be easily reachable with a Fixed Link… click here. Google search finds many hospitals in Hampshire, but just one hospital on the Isle of Wight. 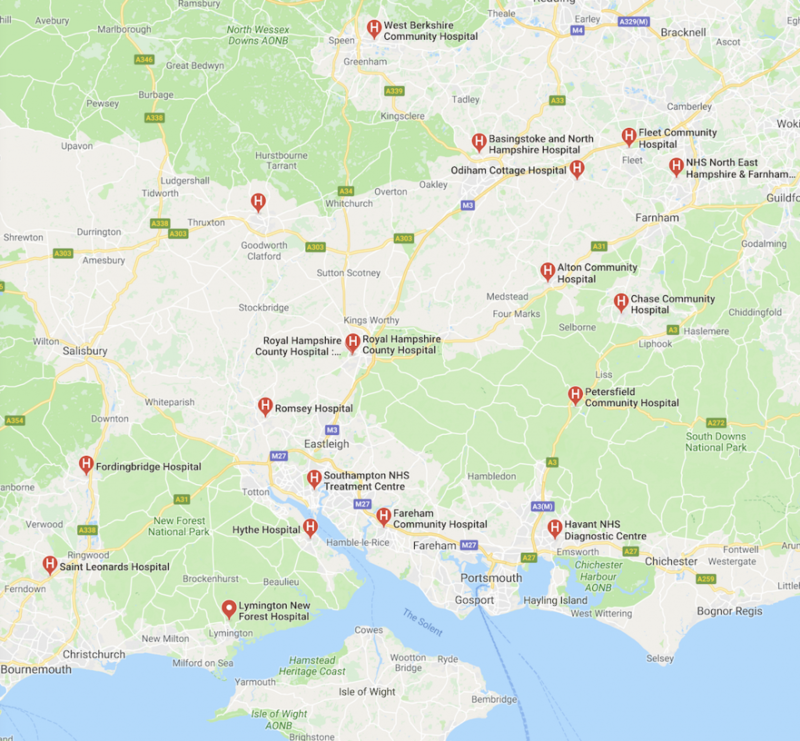 Good physical connectivity, has allowed efficient staffing and resource agglomeration within the Hampshire area, creating useful more localised satellite community hospitals, to compliment the general hospitals. However…. 24 hour, road based connectivity to the Isle of Wight is not presently available. Resources and staff must be shipped or flown in sporadically, and patients are transferred to and from the mainland in the same fashion. This causes the IOW Hospital to be isolated and very expensive to operate. 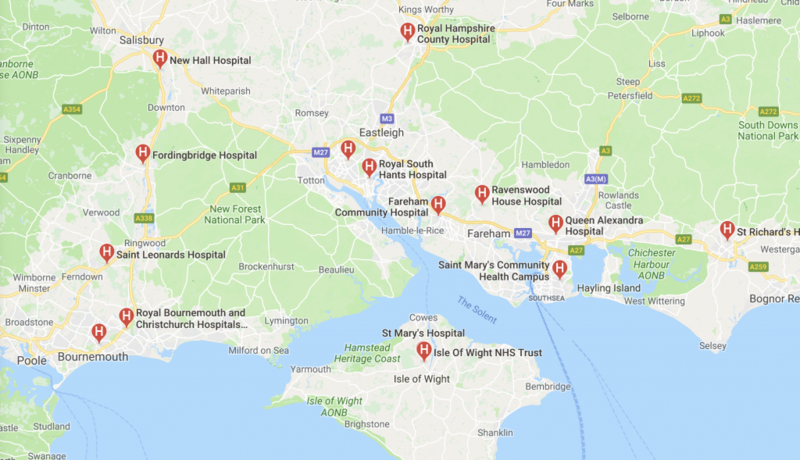 To resuscitate the hospital from its decline and perhaps create further additional smaller IOW community hospitals… the remedy is good connectivity. This can only be achieved with a road based cross Solent Fixed Link. It would encourage also the usage of island hospitals by mainland patients, making departments viable again due to the larger catchment area. What about other island communities within the UK? What happened when Skye got it’s Fixed Link for example? The Isle of Skye was formerly isolated from the Scottish mainland until 1995, when a fixed link bridge was opened. 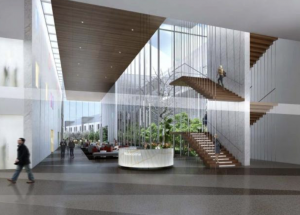 In 2015, proposed designs for a new hospital on Skye were published by NHS Highland. This new establishment is intended to serve not just Skye islanders, but also residents of the nearby mainland, who can now easily access it. Click photo or here to look at what’s occurring now Skye have Fixed Link connectivity. Standard vehicle ambulances can be used, but the return journey time, renders the ambulance and staff out of commission for minimum of five hours. The transfer from Newport to Southampton General in an emergency using the Red Funnel ferry, would be a minimum of two hours… if the ferry is ready and waiting. When transferring a patient to the mainland late at night, the ambulance and crew can become stranded for hours on the mainland while waiting for the first early morning ferry the next day. In an emergency, the charity funded Air Ambulance can be used if available, which costs thousands of pounds each time used. From page 3 of the PRO-LINK submission to the IOW Infrastructure task force. “• G17 – The attraction of high skill set personnel including teachers, doctors, GP’s, consultants, industry specialists etc. who will not need to worry about the islands present day isolation; Thus avoiding the worry of career “dead ends”. 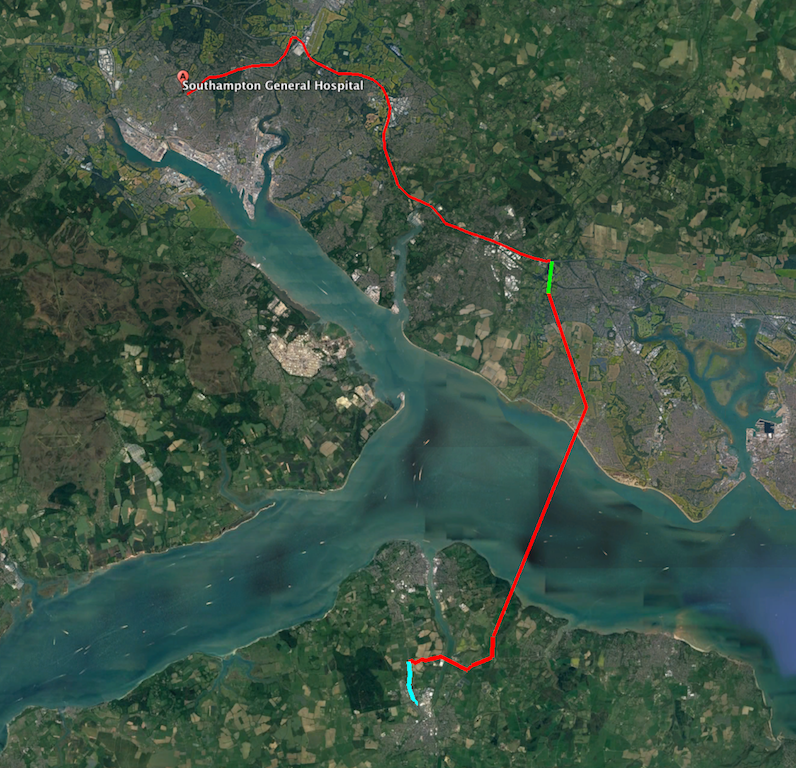 How will the Solent Freedom Tunnel provide solutions? Below are distance and times to reach emergency care on the mainland with the Solent Freedom Tunnel… offering 24 hour, 365 day reliability of immediate transfer. St Mary’s IOW Hospital to Southampton General = 26.79 miles by road. Approximate journey time by Ambulance = 25 minutes at night, or 50 minutes peak commuter period. 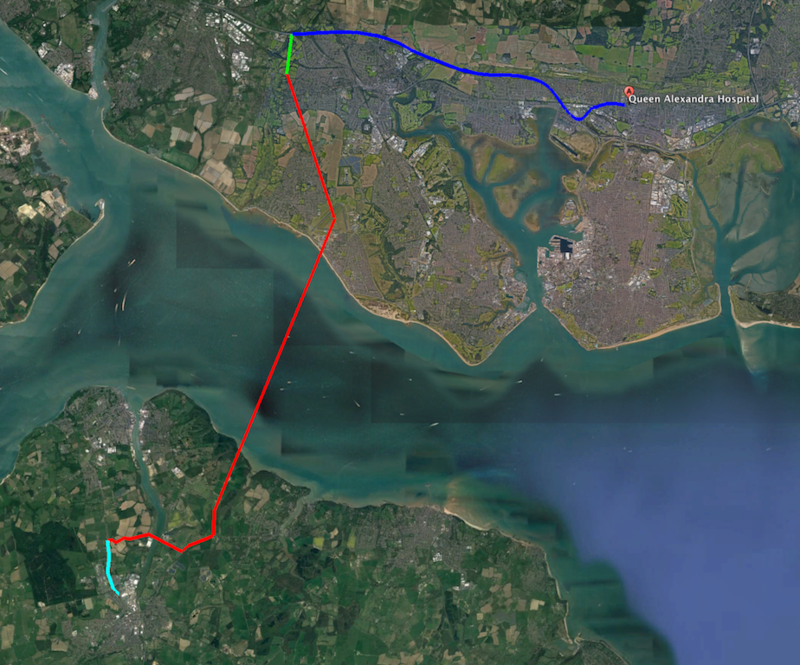 St Mary’s IOW Hospital to Queen Alexandra Hospital, Portsmouth = 21.05 miles by road. Approximate journey time by Ambulance = 18 minutes at night, or 30 minutes peak commuter period. 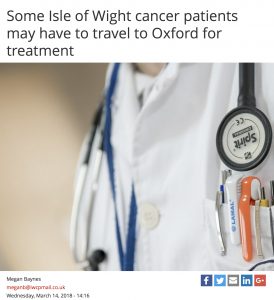 “In a letter to NHS England, the Council’s Policy and Scrutiny Committee on Adult Social Care and Health said the potential journey from the Island to Oxford had great implications for patients in terms of distance and cost. Over 11,000 responses to the consultation were received from individuals, NHS organisations, clinicians, medical and professional associations – including Cancer Research UK – and private healthcare providers. For a patient to attend an appointment in Oxford, assuming there are no delays or disruptions, would require over three hours of travel each way. If the appointment is at a later time, the patient could be forced to find accommodation for the night. 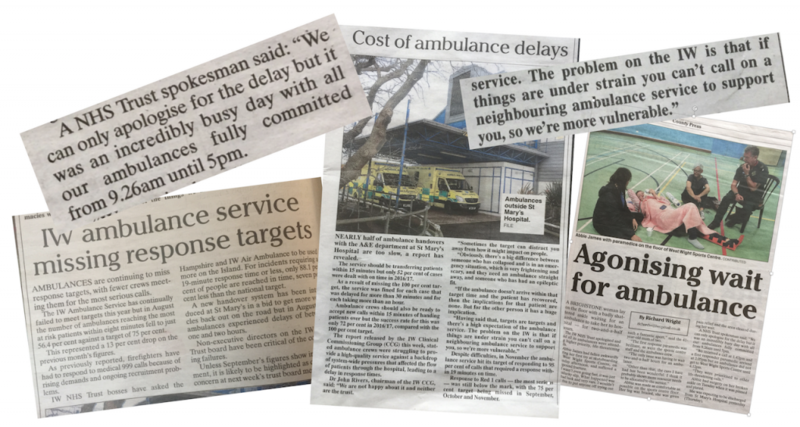 What does the MP -Bob Seely, believe the solution to cross Solent Healthcare is? Are the MP’s art and “mindfulness” solutions realistic? Will the sick and infirm, or those who have no funds to cross the Solent frequently, survive with no fixed link? Please leave your comment below – of any stories you may have concerning cross Solent journeys to mainland Healthcare, the MP’s ideas, or anything else concerning the subject above? The comments will be read worldwide, also by the NHS, local and national government. It’s not acceptable in the 21st century, for a cancer patient to endure a 7hr round trip, just for a 15min radium treatment… because that’s how long it took a relative of mine to get to Southampton and back on the ferries, because of weather! Went over on red jet, but had to come back on car ferry, but then had to get from East Cowes to Northwood! This happened on more than 1 occasion, with the return journey being around the same length of time! It’s disgusting! I have been left disabled due to a combined delay in diagnosing Caudia Equina and the 11 hours the NHS took to get me to Southampton. Imagine having the worst headache ever and knowing the only way to get rid of it will be to have brain surgery, welcome to the world of Hydrocephalus. A build up of fluid (CSF) in the brain causes your brain to become ‘squashed’ the pain is indescribable and mo amount of medication will help. last October the weather was bad and it meant the boats were running a reduced service, when my shunt blocks I have 4 hours to get to Southampton hospital to avoid irreversible damage. On this occasion the helicopter was not running either so I was stuck in a hospital with no/little neurological services deteriorating by the minute. In the end I had to be transferred the next day a whole 17 hours after arriving at hospital, I was then taken straight in for brain surgery when I arrived at Southampton, due to the delay in me getting over by this point I was unconscious and have very little memory of what happened. For my follow up appointments again these are in Southampton and require 2 busses to get to the red jet, then the boat then a further 2 busses in Southampton. Sounds straight forward but not so easy when you have just had multiple brain surgeries, why not take the car people ask me, as you are aware it can be upto £70 return for the car and with the frequency of visits to Southampton I could not afford this. The hospital do offer to cover some travel expenses however this is only the cheapest rate and never covers what it actually costs. So next time the debate about a fixed link comes up think of the people who need this to happen due to the lack of services on the island. What does mr Seeley think of a quote of £470 return trip for car and trailer. ? Who on earth is going to come to the island to see an art gallery? 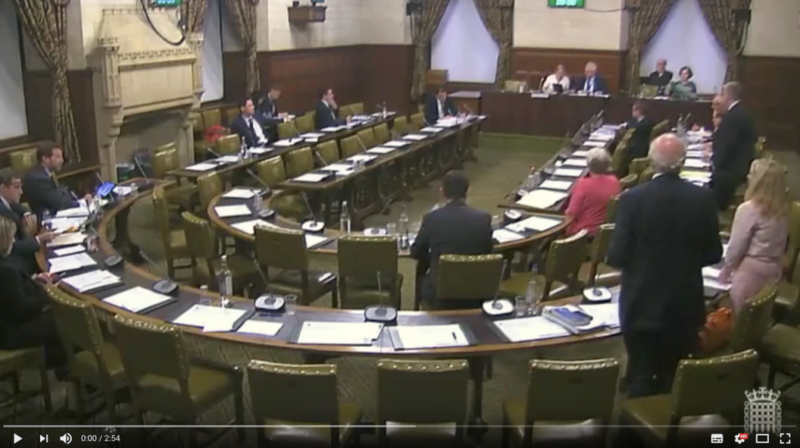 Why is numerous other areas fighting for connectivity yet our MPs seem to want to keep us segregated. Yes the island has pretty beaches, countryside and some quaint shops etc but that’s about all it has to offer. Holiday makers can save their ferry fares and go to numerous beautiful places on the mainland. I have read the comment above regarding our hospital services, and it saddens me that numerous people make that arduous trip over the water for treatment. I myself recently had to go to the mainland for an op, I had to travel back by myself the following day and on top of this I got an infection so ended up back in hopital. I should have been able to jump in a taxi and get home quick rather than hang around ferry terminals with stitches, swelling and feeling illwhilst trying to cover it up. I volunteer as a driver for The Cancer Trust. Leading up to (I will call him James) death, they asked me if I could commit to taking him daily for six weeks to the Hovercraft terminal in Ryde from West Cowes. I agreed, he was to have his cancer treatment in Cosham. This treatment was for both Chemo and Radiology. We could see his original desire to fight this illness, draining from his soul, as much as we tried to make the journey less stressful and bearable for him. We would ring James every day (after checking for “reported” cancellations), just to make sure he was ready to be picked up. One day when he returned to Ryde, we witnessed him stumble against the Hovercraft terminal’s wall, we ran to catch him. He said he couldn’t carry on with these journeys, the treatment left him so weak. We got him home that day, again he stumbled against the wall of his bungalow, before being helped in by his wife. The next day we rang, as usual, to be told he just can’t go on like this and that he would try to book himself into palliative care to, as we know now, die. That was all we heard from James until one day I recognised a prison officer who told us told us “thank you for all you did, but James passed away” we know it can/will happen, even if treated here, but it was the way he gave up the fight, that was so distressing for us to see. It’s heartless and cruel the way we are treating our cancer patients here, they deserve a reliable cross SoIent journey, without cancellations and frustrations, at the very least, something only a fixed link can ensure. This is just one story of many I would imagine…..and it’s going to get worse with all the closures. This is 2018, not 1818, for many it may seem it is. I will tell this same story to anyone who genuinely wants to hear, verified by the Cancer Trust records.